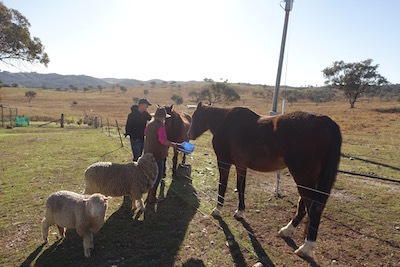 Are you really a “Hands On” Farmstay Experience? Yes, we are – we have so many animals for you to love and to experience. 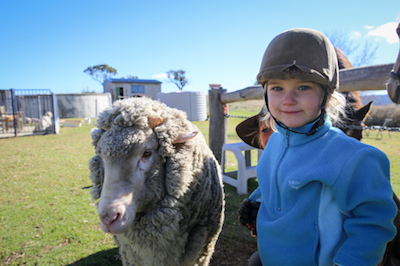 My daughter, Kate and I will be here during your entire visit to share our farmstay with you. How far away from Mudgee are you? 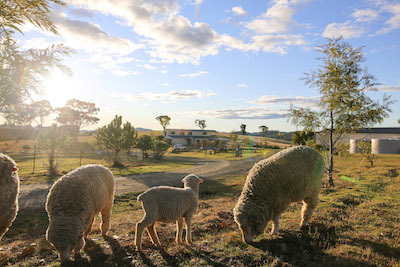 Ba Mack Farmstay is only a 25 minute drive, on a tar sealed road from Mudgee, NSW, Australia. Please bring enclosed shoes, preferably with no laces as we request that you remove shoes while inside all our accommodation venues. Warm clothing in the cooler months, layers are usually the best option. Camera for all those lovely snapshots you will be able to take. Do you have an age restriction for children to have a led horse ride? All children, of any age or ability are welcome to a led horse ride every day and will be safely looked after.